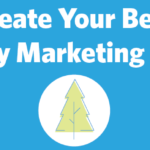 ﻿ How to Create Your Best Holiday Marketing Emails » Red Mango Marketing! If your business wants to make the most of the holiday season, then you’ve likely already been preparing holiday specials and festive discounts. Now you just need to let your customers know all the great things your business is offering! Watch the video below and learn how to create email marketing campaigns for the holidays! The post How to Create Your Best Holiday Marketing Emails appeared first on Constant Contact Blogs. This entry was posted on Monday, November 13th, 2017 at 8:00 am	and is filed under Email Marketing, News & Updates, video. You can follow any responses to this entry through the RSS 2.0 feed. Both comments and pings are currently closed.